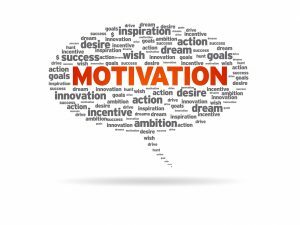 Motivation is different for everyone – for some it is internal, for others it is external. Once you find your motivation, you are on the path to success. Last year, one of my young cross-country runners was fully content walking up the hills and avoiding physical exertion to the maximum extent possible. I tried all sorts of tactics and motivation techniques…to wits end. Even my “walkers club” (post-practice sprints for those that walk during practice) had no effect. One meet, this runner unexpectedly knocked 3 minutes off her best time to which I gave a look of amazement to her parents. They smiled and said, “Well…she didn’t walk…so I guess we owe her ten bucks! !” So it appears that money is an effective motivator for all ages! Your challenge is to find out what motivates you to get serious about fitness and stick with it. Once you determine it, tell your trainer so she can help keep you on track too. Do it for your health. Consistent exercise and healthy eating are the two very best things you can do for your health. You will develop a strong, healthy heart, reduce your chances of many cancers, prevent diabetes, keep a sharp mind and resist dementia and avoid many of the common ailments that come with aging. It is possible to age without decay, and the key to this is exercise and eating well. Do it to relieve stress. This isn’t a cliché. Exercising really does cause physical changes in your brain and nervous system that result in feelings of calmness and well-being. In fact, you may get so hooked on the mental benefits of exercise that you will crave it! Do it to be strong. If you have never done focused weight training, then you literally have no idea of the total transformation that you will feel after just a few weeks. There is nothing like bending over to pick something up that normally results in discomfort, strain and even pain, only to find out that it is a piece of cake! By getting strong now, you reduce your risk of age-related falls and fractures because you have the core strength and balance to keep yourself stable.